Finance Costs > How Much Does ADP Payroll Cost? How Much Does ADP Payroll Cost? ADP offers payroll packages that can accommodate small, medium, large or even massive corporations. This professional payroll service keeps track of your employees hours, salaries, time off, taxes, benefits, and anything else that has to do with paying your employees. How much does ADP payroll cost per employee? For most companies, the cost of ADP payroll processing is going to depend on the number of employees and the type of services/features you need. The most basic package for ADP payroll will be around $10 per employee, per month, while an advanced payroll plan could cost upwards of $23 per employee, per month, according to business owners who have used the service. According to TopTenReviews.com, they claim that it can cost $159 per month for a business that has five employees. FitSmallBusiness.com broke down the costs for 10 employees running bi-weekly payroll, stating it could cost up to $3,079 for the year without discounts or $2,098 with discounts, with a $25 setup fee. RUN, created by ADP, offers three types of plans: Essential, Enhanced and Complete Payroll. All programs will include payroll, direct deposit, payroll delivery, electronic reports, a general ledger interface, new hire reporting, 1099s, W-2s and tax filing. The premium tiered plans, Enhanced and Complete, will offer additional features such as check signing, secure checks, a prepaid card, state unemployment insurance and more. Refer to the side-by-side comparison for more details on ADP’s official website. ADP is able to pay employees by check, direct deposit, or card. If the employee is paid by card, then they will do the check printing for you. ADP can pay any hourly, salary, and contract employees. They can also send workplace posters in order to stay compliant with local workforce laws. Employees are able to view their paystubs, paid time off and more through the online ADP portal. Aside from payroll processing, the company offers tax services, including W-2 and 1099 processing for an additional fee. Everything that is processed through ADP will be recorded and saved in case you ever need to access it again in the future. Depending on the package chosen, a one-time setup fee could be applied. For example, you may have to pay a fee each time a new employee is added or a change is made to a person’s salary or payment type. These setup fees can range $25 to $200+ depending on the setup. 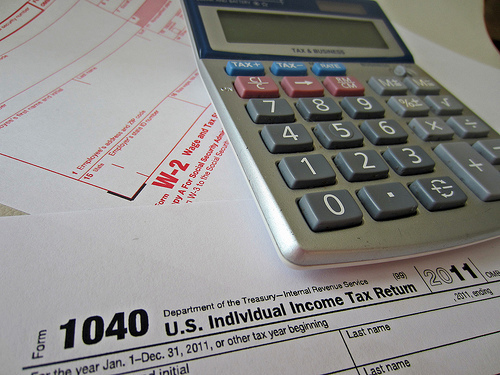 In some cases, filing a 1099 and/or W-2 can cost an additional $10 per employee per year. ADP is available for support via phone, chat, emailing or filling out a form on its website 24/7. Be sure get everything up front when it comes to the pricing. Since these companies are notorious for adding additional fees, it is important that you get an itemized quote so that you are not shocked with any unexpected prices or features you don’t need. The website does a good job breaking down what you will receive with your monthly fee. Due to the diversity of options, some people claim that it is not as user-friendly as other options. Be sure to compare other options before committing. Talent Management. ADP advisors can help you assess your employee’s overall performance, determine the demand for each employee or position, help you decide who you should and should not hire. Human Resources. Your human resources department can be transformed from a paperwork nightmare to an organized, paperless, and accurate records keeping service. ADP has a representative in Washington to make sure that all of its clients are kept up to date on legislative changes and Health Care Reforms. Benefits Administration. ADP benefits administration focuses on trying to find the best possible benefits package for the employees while saving you, the employer, as much money as possible. Having them do all the work will also save you the headache of making the decisions, filing the paperwork, and dealing with the employees. Be sure to compare other payroll processing services like Intuit, ProPayroll, ONPAY, Paychex and SurePayroll. Know what kind of features you want ahead of time. For example, if you do not need the time-tracking feature, you could save $60 per month if you had 15 employees. Refer to the comparison guide on their website to know which features you need. Even though paying for payroll services may seem like a waste, someone will have to do it. Using a payroll service such as ADP will definitely be cheaper than paying a full-time employee to do the job. Referring new customers to ADP could lead to potential bonuses. If you have a smaller business, consider talking with a local accountant to see what they would charge. In some cases, it could be cheaper. Since you will be working with a sales staff, do not be afraid to haggle on the costs. Look for special offers as they are readily available on the company’s official website. For example, right now you can receive two months free when you sign up today. Some owners say once you receive a discount, you will receive the discount for the life of the plan.